The Crain SVR 25-Foot Fiberglass Grade Rod 98010 offers construction and surveying professionals all the features of Crain's line of Surveyor (SVR) Series Leveling Rods. These features include a unique rectangular-oval shape, laser and optical functionality, anti-jam button locks, and a shorter collapsed length. Crain simplifies the process of taking measurements with alternating black and red graduations in feet, tenths, and hundreds. A white background also maximizes your visibility. You can easily adjust this grade rod's six sections to select your desired length. Then secure the length with special button locks that prevent jamming by locking out dust and dirt. You can also collapse your grade rod from 25 feet down to just 58.5 inches. 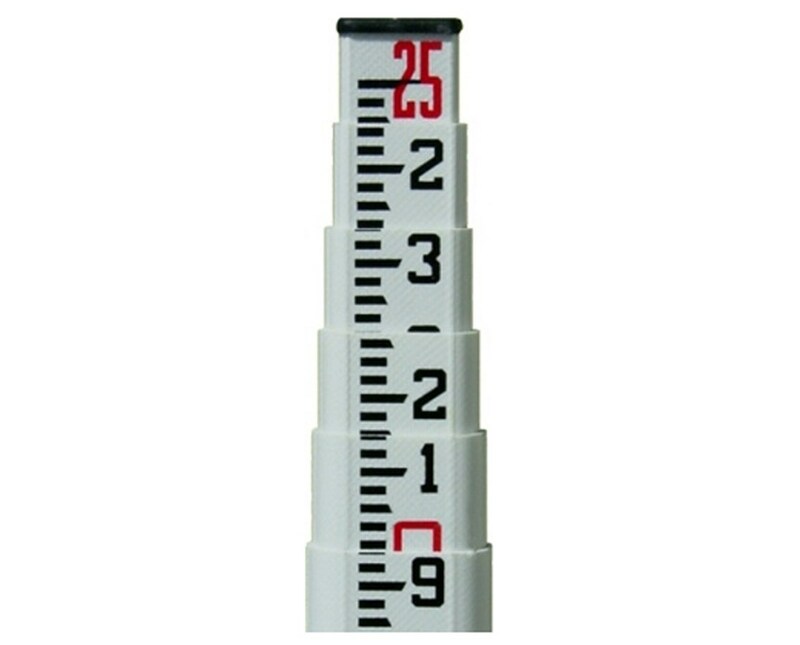 Constructed of fiberglass, this leveling rod is also stabilized with ribs for reinforcement. These features make your grade rod waterproof, non-conductive, and wear-resistant. This grade rod has a 1/4 x 20 female adapter which allows you to attach other accessories. Along with the Crain SVR 25-Foot Fiberglass Grade Rod you will also receive a carrying bag and 1-year warranty. 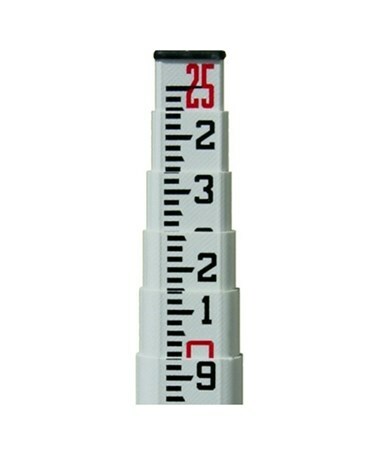 Extends: 58.5 in. to 25 ft.